Ethan looks sooo adorable in the passport photo! Joyce says: Hehe…we think so too! Can you just imagine how difficult it was to make him sit still for that shot? Ethan looks so cool in the passport photo..
haircut time for whole family..really can save time. Joyce says: The bottom part of the picture had part of my hand showing, but for passport, that section could be cropped out. They also gave us a CD containing a copy of his photo in digital format. Cool huh? 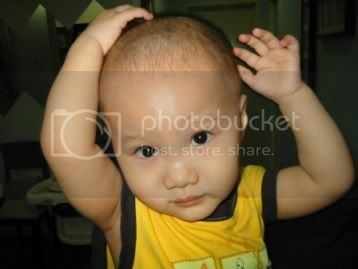 Joyce says: Do you think he takes after Daddy or Mommy…. or both?? Ethan looked so grown up in that passport photo. 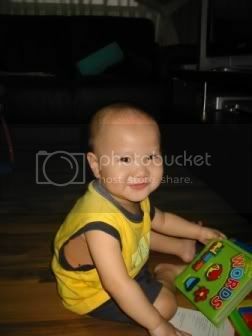 Joyce says: Yup, sometimes I can hardly believe how fast he is growing up before my very eyes.